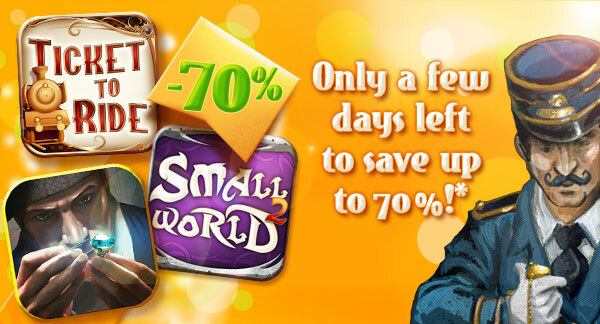 « A bright summer opens with up to 70% off the digital versions of Ticket to Ride, Splendor and Small World 2! This entry was posted on Wednesday, June 29th, 2016 at 18:46 and is filed under Days of Wonder Online, Miscellaneous, News. You can follow any responses to this entry through the RSS 2.0 feed. Both comments and pings are currently closed.